Printed fine art products are at the heart of everything I do. They are my why. In my business, there is nothing more meaningful than the look of pure joy on my client's face when they see their art for the first time. There is a pride and pleasure associated with not only seeing but feeling and holding your images. Prints and products are an integral part of why I do what I do. As a full service photographer, I educate my clients on the importance of printing their images and provide them with completed works of art. Have you thought of how you will showcase your art? Do you want to smile every time you walk into your living room? For those who crave a large statement piece, framed canvas and prints are the way to go. Maybe you prefer to tell a story. 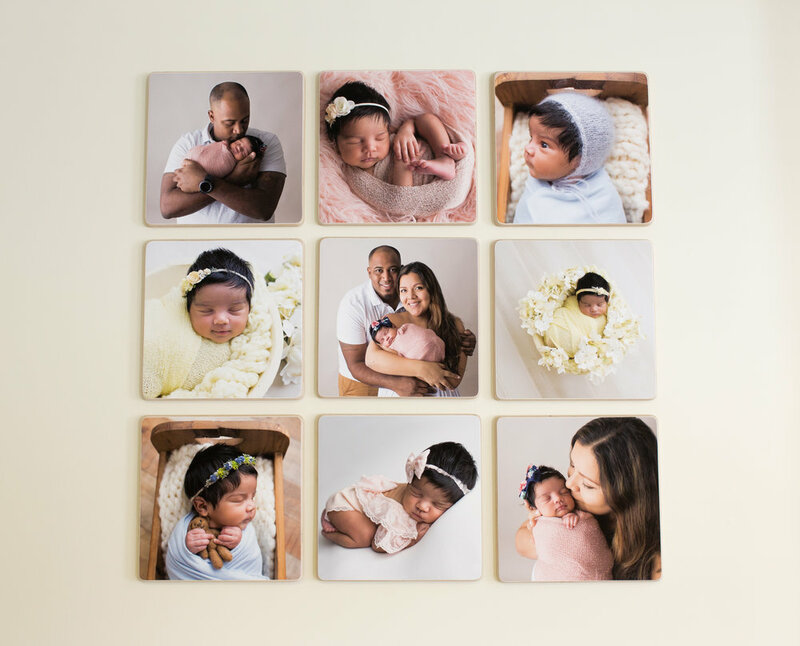 Showcase multiple images with wall groupings in gorgeous wood blocks or fine art prints. Maybe you just need it all! And why shouldn't you? These are your precious memories. 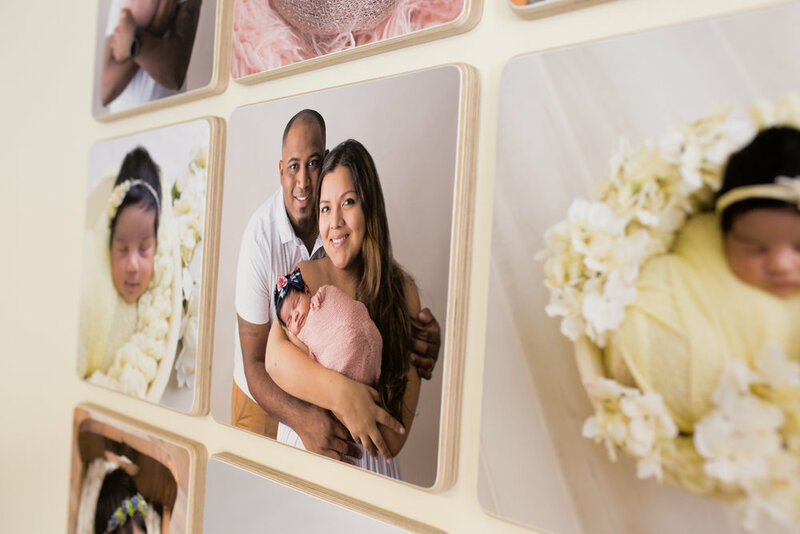 We can create a custom-designed flush mount album that will guarantee you do not miss a single capture. A luxury line of museum quality canvases, handmade in the United States for over 50 years. Acrylic and lacquer, brushstroked by hand to enhance your art through subtle texture while increasing durability and longevity. These museum quality canvases are unlike anything you have seen before and come framed or as a gallery wrap. Traditional canvases are mounted to 3/4 inch stretcher bars and are artistically and perfectly framed. 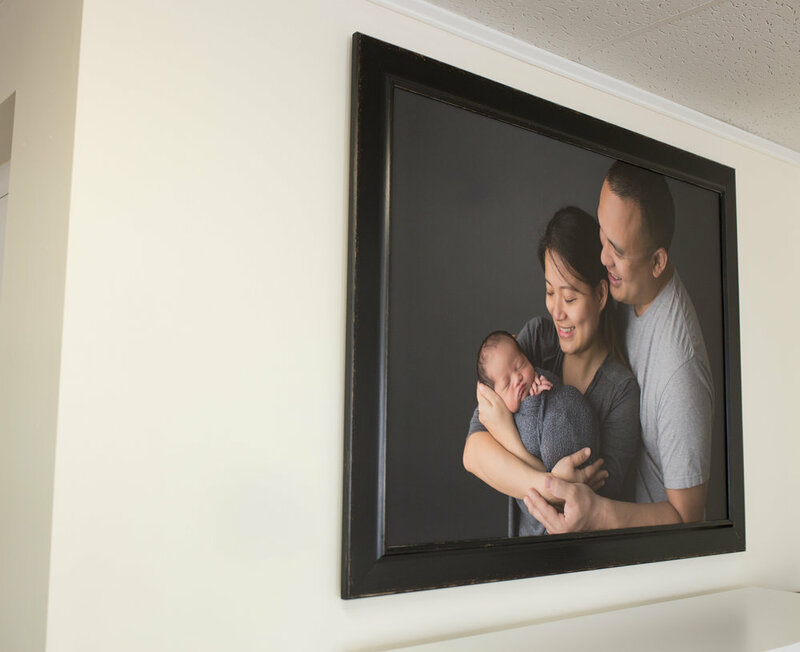 With nearly 20 framing options, there is something for everyone. Modern and contemporary to classic to ornate. No matter your style, there is a framed canvas for everyone. Gallery wrapped canvases are mounted to two-inch stretcher bars and add depth to any wall with modern style and finished edges. If you are looking for something timeless yet truly unique, then look no further than our wood block collections. Images are printed on soft matte or fine art linen paper and hand mounted to birch wood. Wood blocks are hand sanded and edges are hand beveled for an heirloom look. 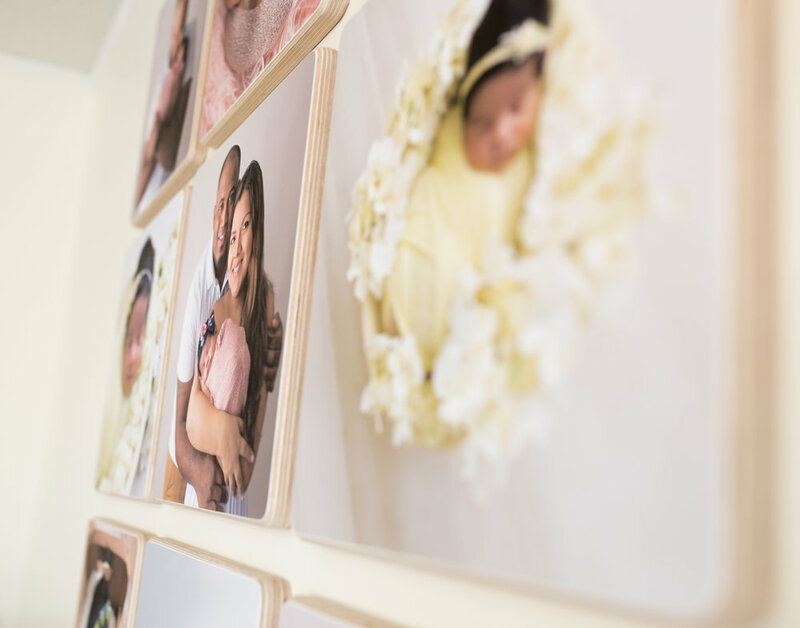 Wood blocks display beautiful as clusters to highlight a group of images from your session. More blocks can be added to your group from future sessions allowing your artwork to grow with your family. There is no look more timeless than an exquisitely framed portrait. A linen textured and mounted fine art print framed behind museum grade glass. When it comes to custom framing, this glass is unmatched in its virtually glare-free clarity and 99% UV protection. Working with a local family owned framer of over 30 years, I am able to be involved in all aspects of the process until your finished artwork arrives to you ready to hang and cherish for generations to come. All fine art prints are printed on museum grade luster paper with fine linen texture. All prints 11 x 14 or larger come mounted to 3mm matboard giving stability to your art while preventing warping. Mounted prints are ready to frame at the client's discretion. Are you the type that wants all of your images but also wants the freedom to use them as you see fit? Our 8x10 presentation folio box is handmade in Italy and holds up to 20 matted 5x7 fine art reveal prints from your session. Beautifully designed as an alternative to a traditional album, our folio box offers our clients the versatility unseen in other products. 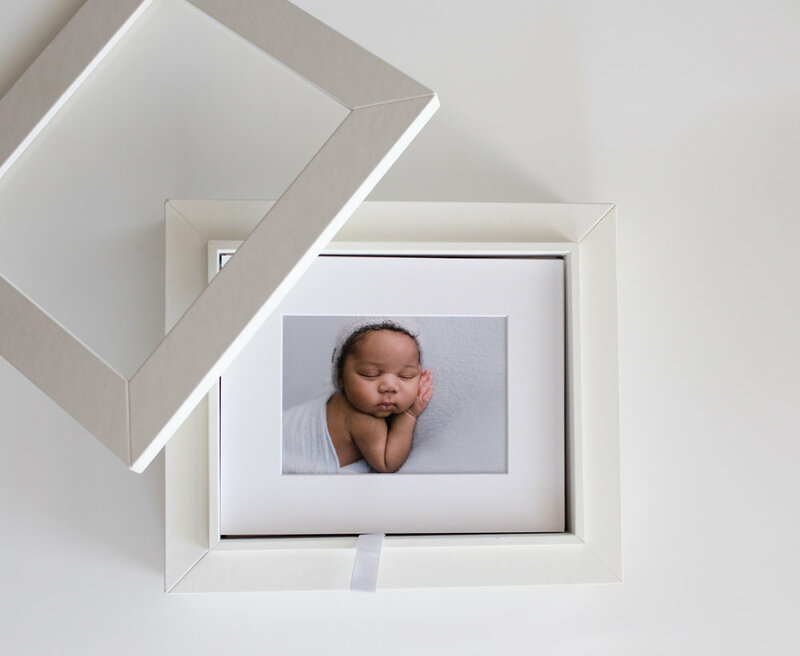 Your folio album comes with a clear presentation cover, allowing the box to stand alone as a mantle piece all while giving you the ability to change the image displayed as often as you like. Maybe you will choose to keep all your images together in their folio box. 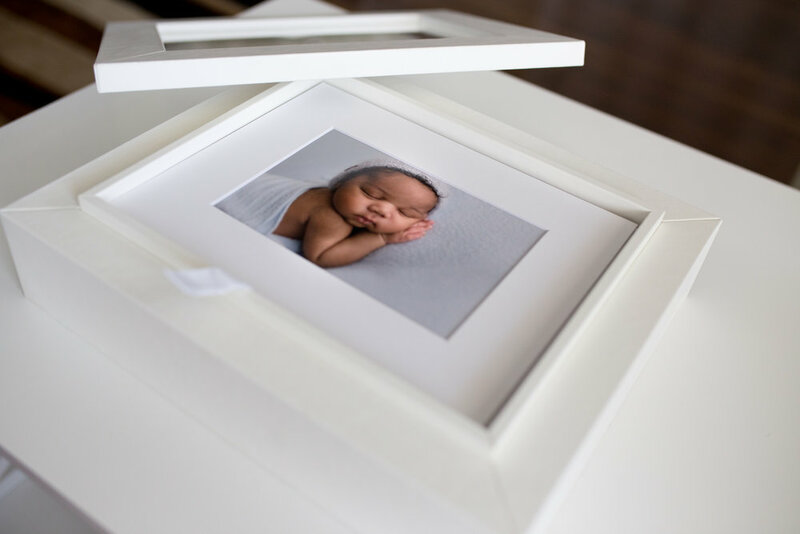 Maybe you will gift some of your beautiful matted images to family and friends. Maybe you would like to create your own wall grouping by framing a handful of your absolute favorites. The choice is yours! The options you have with our Unbound Folio are endless. Oh and did I mention that your unbound folio goes home with you at your reveal? What is there not to love? 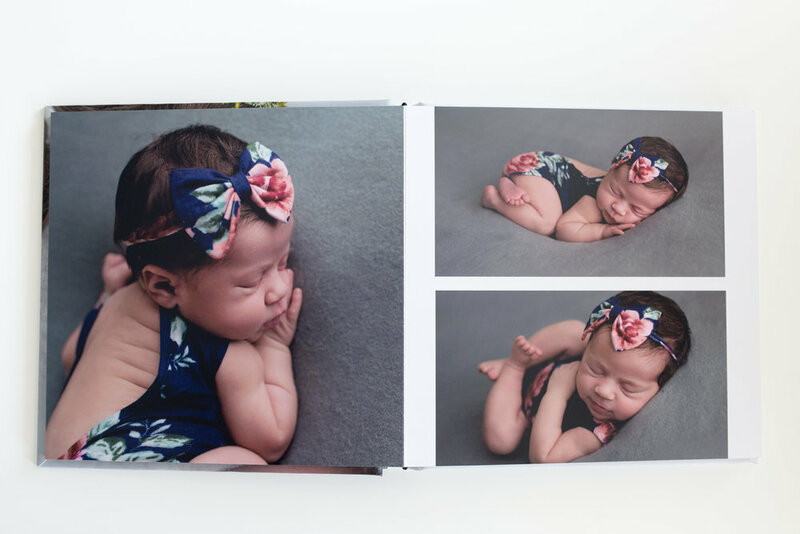 For those who wish to have all of their images right at their finger tips, a custom designed signature album is the perfect way to display your art. 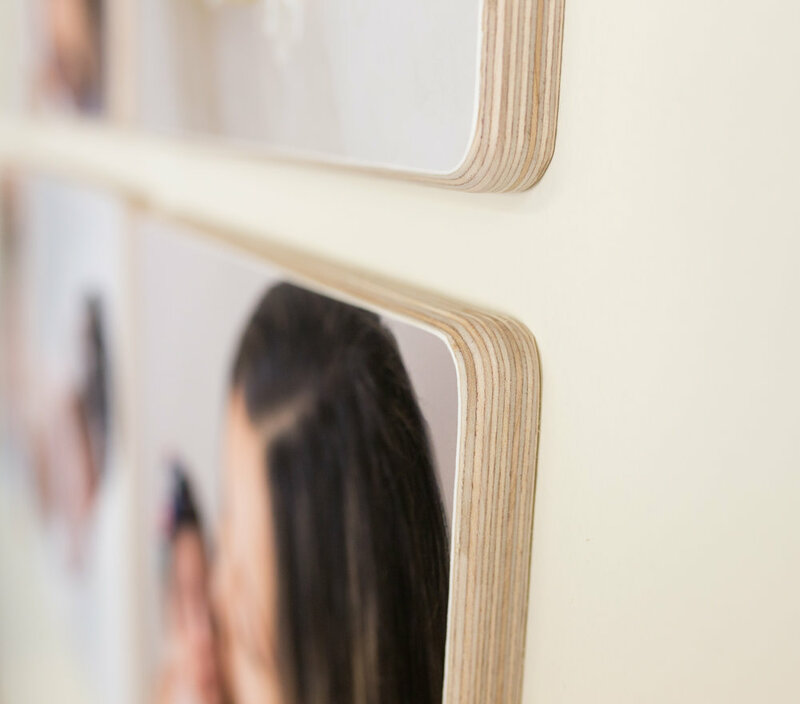 Flush mount albums are offered in several sizes and finishes and come with rigid pages and seamless layflat design. This album is designed to tell your unique story all while providing a one-of-a-kind keepsake you share for generations to come.